Acura, which resurrected its Precision Crafted Performance tag line and revamped its marketing strategy three years ago, has taken over sponsorship of the Grand Prix of Long Beach in California. Seen here is last year's winner, Alexander Rossi, who dominated the race. Acura, staying true to its performance-driven mantra, is replacing Toyota as the title sponsor of the long-running Grand Prix of Long Beach street race. Now in its 45th year, the race draws a mix of attendees from the Los Angeles area that the brand is looking to engage with. The brand collaborated with the Grand Prix Association of Long Beach on a redesign of the event's logo, which it says will get heavy visibility during the festivities and the weeks leading up to them. Acura Vice President Jon Ikeda frequented the event while growing up when Toyota held the sponsorship. He remembers what the event meant to him back then as a car enthusiast, so he's hoping to spark that same interest in the next generation. The event goes beyond racing, drawing people who aren't racing fans, Ikeda said. Outside of racing, the Grand Prix is the site of concerts, food trucks and family activities. The multiyear agreement came together just before the holidays last year. "We're just trying to tie everything together between the brand, what it stands for stands for, how we market things, how we connect with our partner dealers," Ikeda told Automotive News. "The L.A. area is huge, obviously, for what we try to accomplish from a sales perspective." Ikeda said planning is underway between the brand and local dealers on how they will promote the race as it draws closer. Acura has begun a marketing stunt for the Grand Prix where it projects an Acura racecar on buildings around Los Angeles. Honda-powered drivers have won six of the last 10 Grands Prix — and 13 times in 19 appearances — including last year with Alexander Rossi, Acura said. 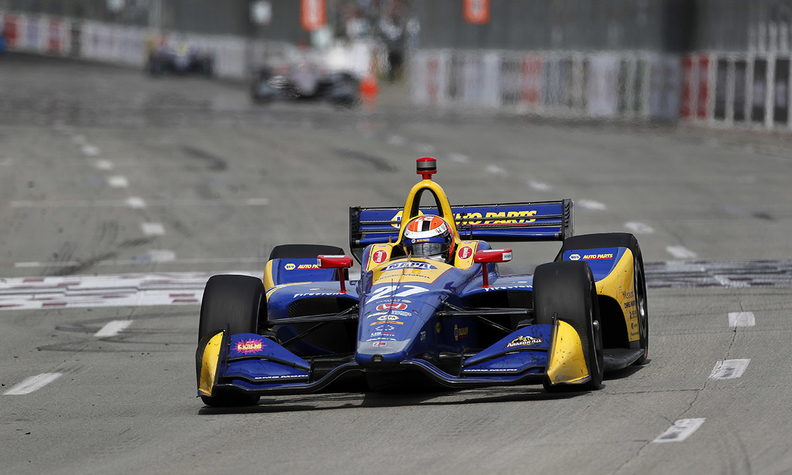 The Acura Grand Prix of Long Beach will be headlined by the NTT IndyCar Series and the BUBBA Burger Sports Car Grand Prix, featuring the IMSA WeatherTech SportsCar Championship. The event, which takes place April 12-14, also will include the Motegi Racing Super Drift Challenge, Robby Gordon's Stadium SUPER Trucks, the powerful sports cars of the Pirelli GT4 America series and the Historic IMSA GTO Challenge. The sponsorship comes three years after Acura resurrected its Precision Crafted Performance tag line and revamped its marketing strategy, shunning the blandness of previous campaigns in favor of a more youthful feel. The 2019 RDX was the first Acura to be fully redesigned since the brand re-embraced performance as a styling, engineering and marketing cue. Other Acura vehicles have received some styling updates, such as the new grille design. RDX U.S. sales were up 41 percent in January, while the brand tallied a 9.6 percent increase. Acura is a performance brand that has been racing for years and bringing elite horsepower to city streets with its NSX halo supercar. The Grand Prix sponsorship, Ikeda said, is a "logical step for us."